Haaay everyone! 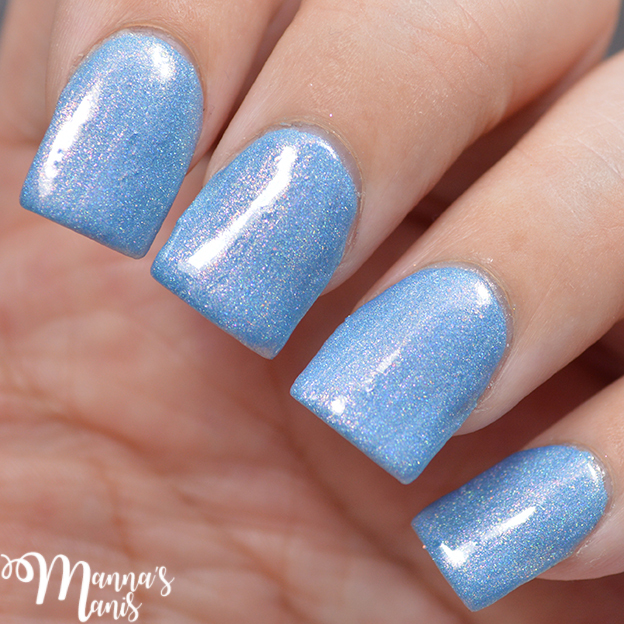 Today I have a polish to show you from a brand new shopping experience called Polish Pickup! 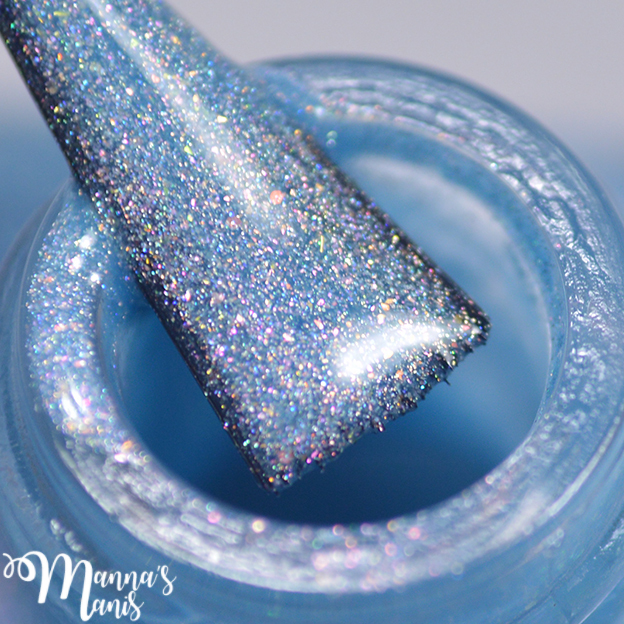 It was created by the ladies from Fair Maiden and is a fun, interactive experience that allows you to submit theme ideas, vote for your favorite theme, and selectively purchase your favorite polishes every month. 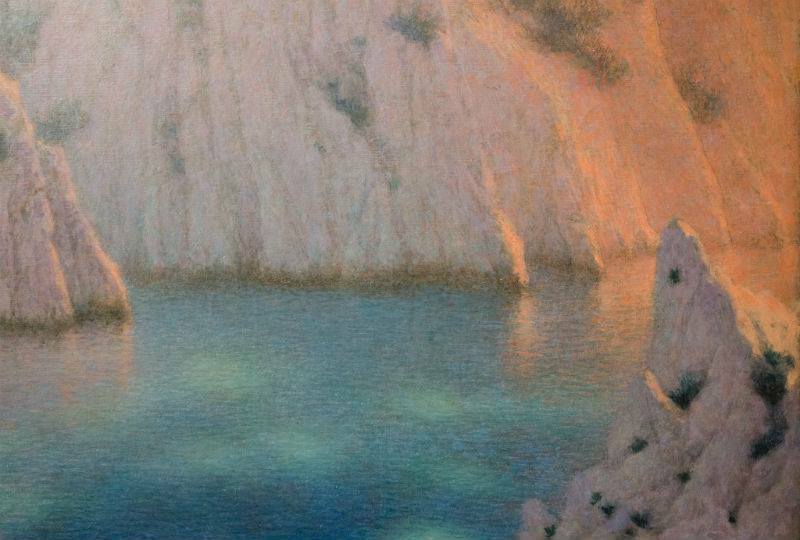 The month of April's theme is Famous Works of Art and Julie from Blue-Eyed Girl Lacquer chose Lucien Levy-Dhurmer Calanque as her inspiration! 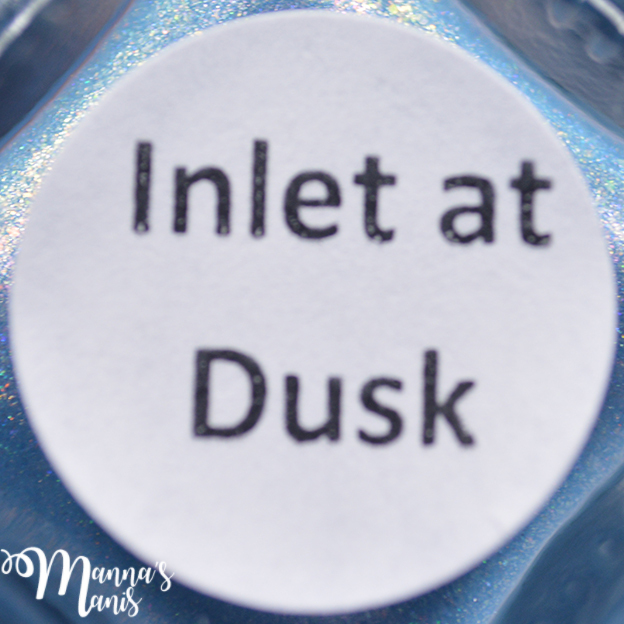 Inlet at Dusk is a medium baby blue with a scattered holographic effect with pink to green duochrome microflakes and iridescent microglitters. Formula was a little thicker than I'd prefer, but still easily manageable. Shown above is 2 coats with top coat. The line up for this months Polish Pickup is pretty amazing. Be sure to join the fan group to stay up to date with all the latest info! The Polish Pickup Shop opens this Friday, April 7th! 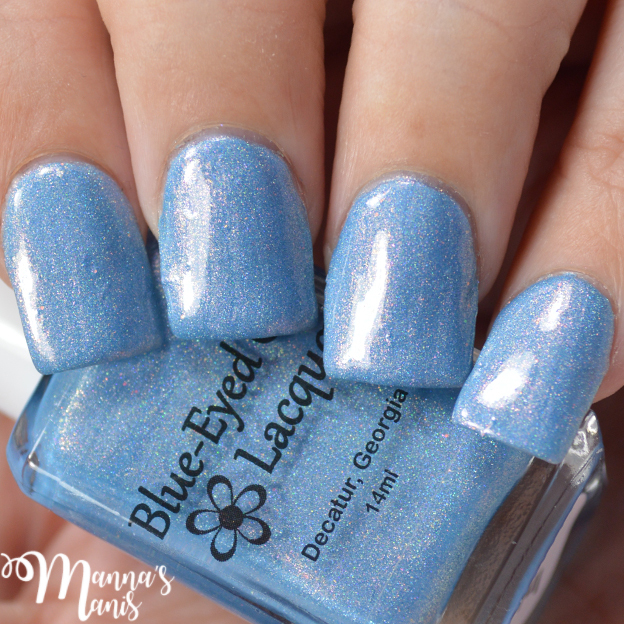 You can pick and choose which polishes you wish to buy, and shipping will be $3 for US and Canada! That's right, you can order 20 polishes and the shipping price will still be $3 for the entire box!